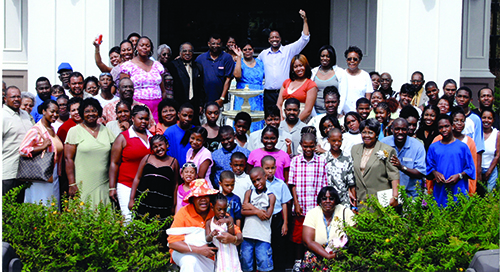 Want to plan the best reunion your family has ever had? Branson is the perfect destination for families of all sizes, and an ideal location for a memorable reunion. In fact, Branson is Midwest Living's top pick for family reunions, thanks to its three scenic lakes, the Silver Dollar City theme park and its fabulous shows. What makes Branson a perfect reunion locale? It's centrally located in the middle of the United States, allowing even those family members on the far edges of the continent to conveniently arrive by car or plane. Not only is Branson within a day's drive of a third of America, but low-cost flights into both the Branson Airport (BKG) and the nearby Springfield-Branson National Airport (SGF) provide economical travel options for family members near and far. It's no wonder Trip Advisor named Branson as one of its "Best Family Vacations" and "Top 10 Great Places to Discover." No family reunion could be as memorable as one held in Branson. With a perfect mix of wholesome entertainment, live music shows, attractions, theme parks, museums, outdoor activities, lodging and dining choices, everyone in the family is sure the time of their lives. Reunion planners find that Branson offers the right lodging accommodations, meeting spaces and recreational facilities for any type of family event. Branson has many great lodging and camping facilities available from value-priced motels to lakefront resorts and luxury hotels. Many of the properties are open year-round, and large families can often qualify for group discounts. Branson also offers a wide range of dining choices from fast food to fine dining. The area’s many buffets can be a great way to accommodate a variety of tastes, and a number of facilities can accommodate large banquets, welcome receptions, farewell brunches and other group meal functions. 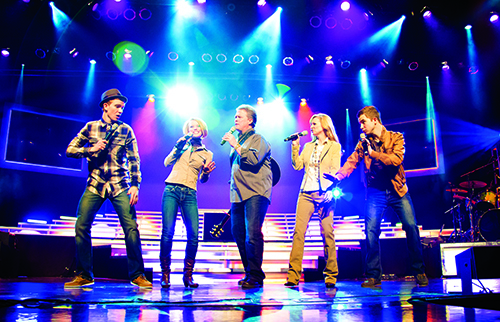 Branson offers an abundance of live music shows, Branson visitors are regularly wowed by high-tech magical illusions, Chinese acrobats, talking dogs and comedic characters who create high-energy live shows for the entire family. What reunion could be complete without outdoor fun and games? Branson's three area lakes – Table Rock, Bull Shoals and Taneycomo – offer all sorts of recreational activities, including jet skiing, parasailing, scuba diving, fishing and boating. Plus, families enjoy a whole lineup of affordable outdoor attractions – water parks, mini golf, go-karts, zip lines, camping and hiking – for the whole family. Why else was it named a Top 10 Family Destination by Fodors? Be sure and contact the Branson/Lakes Area Convention and Visitors Bureau when planning your family reunion. The sales staff offers a wealth of services for you to make your planning easy. One of the most valuable complimentary services is the opportunity to gain bids for lodging, dining, ticketing and planning services through an RFP (request for proposal) service that goes to all properties capable of accommodating your particular type of reunion. Just provide the information, then sit back and wait for the bids to come to you.